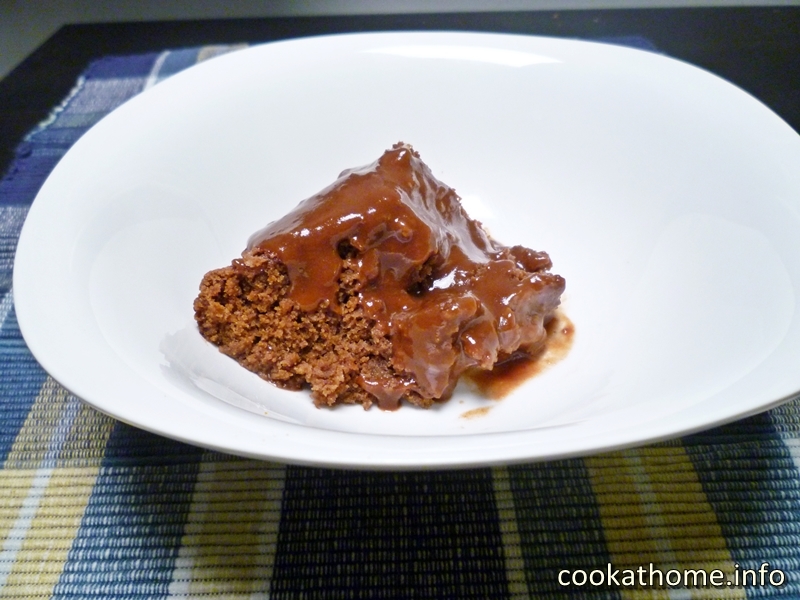 A gluten and dairy-free moist self saucing chocolate pudding that will leave your tastebuds dancing! 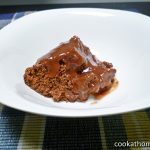 This chocolate sauce pudding was originally my mother-in-law’s … and Grant and I have made this SO many times over the years. The original recipe calls for sifting the flour, and adding alternatively with the milk (which is how I make it). When Grant made it once, he just put all the ingredients in a bowl together and mixed it. And it came out fine. So it’s up to you whether you want to follow the recipe, or make it the short-cut way! Grant tells the story of that his mum would make this pudding frequently but one time she didn’t cook it through, so it was doughy in the middle (my ideal!). He got so turned off it that he wouldn’t have any pudding for years. And then one day he wondered why he didn’t like pudding, and tried it again, and loved it again. So much so, that when we got married, he said I had to try this recipe. And I did. And I’ve made it full-gluten, full-dairy, gluten-free, dairy-free and it always works out well. Except when I don’t use baking powder … So please, use baking powder and enjoy! Sift flour, baking powder and cocoa and set aside. Cream sugar, butter and vanilla together. Add egg and mix well. Fold in sifted dry ingredients alternately with milk. Pour into greased basin or casserole dish. For the sauce, mix sugar and cocoa together and sprinkle over sponge mixture. Pour hot water over all. Cook in oven for 30 mins at 170C.